With the current global political and economic landscape changing at an unprecedented rate, the role and responsibility of the risk manager when it comes to structuring a successful global programme is becoming more and more significant. However, communicating this to the highest level can often be more difficult than it should be. 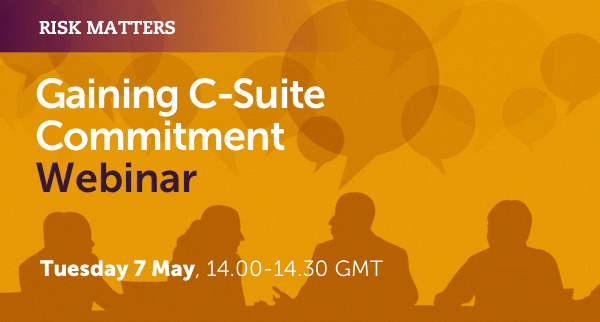 Join in an online discussion with highly respected and experienced risk managers and association heads Julia Graham (Airmic technical director and formerly Ferma president) and Franck Baron (Parima chairman), hosted by Commercial Risk’s editor-in-chief Adrian Ladbury, and find out their views on the best way to bring these key issues directly to the c-suite and ultimately the board. Why does a risk manager need to gain board commitment to their global programme? Who are the most important c-suite and ultimately board members that need to be convinced? What are the five key advantages of a global programme that the board needs to be aware of? What is the most effective way of communicating these benefits so the board actually listens and appreciates what is being said? What can insurers and brokers do to help the risk manager sell the concept of global programmes? How important is it to gain the buy-in of local managers on the ground? Can risk managers tell local managers that they no longer have responsibility for insurance-buying locally once board commitment has been gained? If local managers resist, how could and should the central risk management team win their support and buy-in? Data is omnipresent and has never been as easily accessible, collectible and comparable as it is today. The insurance industry disposes of large amounts of data, however very few players know how to create value for customers from in-depth data analysis – i.e. leverage the outcome to generate concrete business impact. 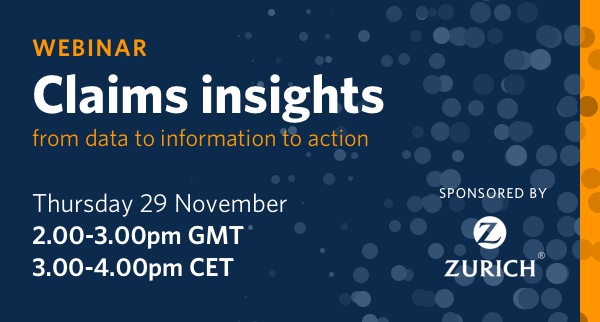 This webinar, brought to you by Zurich and Commercial Risk, showcased relevant methods and approaches of effective data analysis and how to make data understandable and actionable. In addition, it brought the results into a business context in order to define risk improvement actions which have a concrete impact on the company’s balance sheet. To access the webinar presentation click the link below.